This Nautical Gift Shop deals in Military Services Notepads with Magnets for Refrigerators or File Cabinets. Military Services Note Pads with Magnets for Refrigerators or File Cabinets. 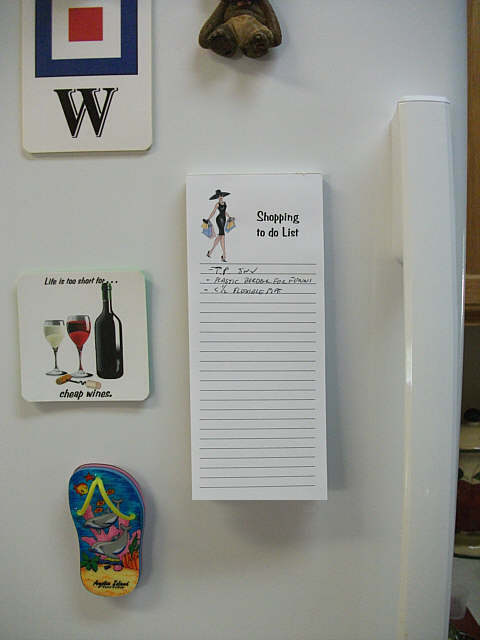 Magnetic Notepads for Refrigerators or Filing Cabinets. These Refrigerator or File Cabinet Notepads are 3.5" x 8.5" in size, have 50 easy tear off sheets/pad and have a stiff cardboard backing with top and bottom magnets on the back for sticking to refrigerators or filing cabinets. 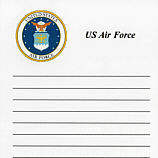 ND111010 United States Air Force - Magnetic Notepads. Product Details on Notepad prices and Specifications. ND112020 United States Army - Notepad. ND113010 United States Coast Guard - Notepad. ND114020 United States Marine Corps - Notepad. ND115010 United States Navy - Notepad. ND116010 Air National Guard - Notepad. ND116020 Army National Guard - Notepad. ND117020 US Merchant Marine - Notepad. ND11Z010 Support our troops - Notepad. Home A-Z Printed Product Index Notepad Directory. Military Services Notepads available from wv-prints.com.